The Mattawang Golf Club will be offering a variety of Golf Schools and camps for the 2019 season. 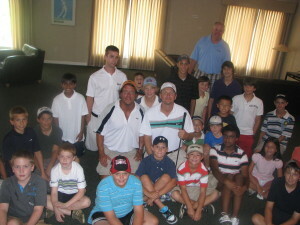 The Mattawang Golf Club’s Professional Staff led by Mahlon Dow will teach all group instruction. I have had the privilege to play this wonderful game since I was very young. The game has brought many positive experiences and long-lasting relationships into my life that I would never have imagined otherwise. My goals through this program are to nurture a love and respect for this great game through instruction and by also recognizing the History and Rules of the game, as well as exposing how to really have fun playing the game. My hope is that each individual will leave this program a better golfer and a better person. I have taken great measures to assemble a staff that shares these hopes and goals. Mahlon was chosen by US Kids Golf for 2010 & 2011 as one of their top 50 Kids Teachers in the United States and Golf INC. Magazines “Most Admired Course Operators”. 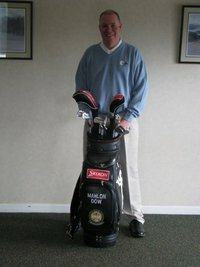 Mahlon also earned “Best Club Pro” at a public course in NJ in 2013, 2014 and 2015.